I was sleeping really deep. And then I had a dream that seemed more like a vision. It started with standing in front of the Lord Jesus and an angel. I was in awe that I could be standing in front of the Lord and an angel too. 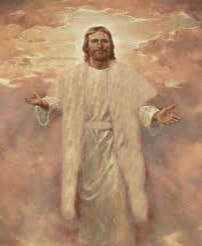 The Lord really was in a long white garment and with two layers of it. Like an inner and outer robe but both of the same material (even if it was light because it was very, very bright). I was so glad to see the Lord and figured He would say something but instead, the angel spoke to me. What the angel said was astounding and shocking. He did not use regular words from his mouth but it was more like a download and I understood that he was speaking spiritually. And in the spirit, he asked me what my choice was in regard to what would be coming. He was asking if I wanted the hard and pressured way or the harder and more pressured way. I was astounded but I instantly knew my answer. I replied also without physical words, that the less hard and pressured way would be better so that I could do better and not “mess up” as much. And then all of a sudden I was in something like a wind tunnel. I say like a wind tunnel because there were sides but not necessarily that you could see them. And in this wind tunnel-like place I was standing right behind the Lord. All of a sudden the wind was blowing. Things started blowing by and blowing so hard that it seemed like it could blow the skin off my face but for the Lord being in front of me. There was not even a breeze on me and I don't think even a hair of mine became out of place because of the Lord physically protecting me. And I woke up with astonishment, deep peace and with an incredible realization that no matter what comes against us, including what may happen from living in the last of the last days, that when the Lord is our shield we are safer than we ever know. Copyright Jan 2019 E. Cockrell May be used for personal study or instruction but shall not be copied and/or distributed in whole or part without permission or for financial profit.